The clock is ticking, and you are eyeing your incomplete to-do list wondering how you are going to get out of the office by 5:00. While to-do lists are a great way to organize yourself in the workplace (and even in your personal life), unless you have some set of ground rules at the start, they can quickly get out of control. If your to-do list appears never-ending, you’ll have no chance of getting on top of your workload or leaving work on time. 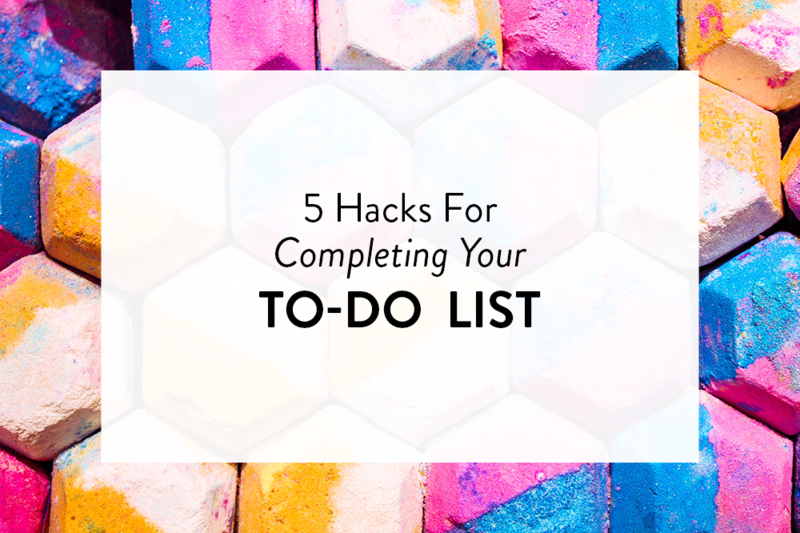 These five productivity tips will help your confidence grow and actually enable you to finish all the items on your to-do list without undue stress or anxiety. There is a good reason that these two words make up the Boy Scout and Girl Scout mottos – because they make life so much easier. By sitting down at the end of each day and planning your to-do list, you know exactly what you’re going to do the next day. You can start work while your mind is fresh and don’t have to waste precious time trying to work out where to begin. For many people, the morning is when they’re most productive. It pays to get the majority of the challenging work out of the way before the mid-afternoon slump hits. If you schedule the last 30 minutes of each day to recap what you’ve done and to go through tomorrow’s workload, you’ll be mentally prepared for whatever comes your way. Writing an actionable to-do list each day will then become part and parcel of your habits. You’ll have enough time to weigh things up carefully and decide what should and should not be on the list. The only chance you have of getting through your to-do list is to keep it at a reasonable length. Any additions will need to be qualified the day before. Consider whether it’s important and if it has to be completed that day. Having a long list that you never seem to get through just defeats the purpose of writing one in the first place. You are being busy for busy’s sake. If you do find you manage to complete your urgent tasks with time to spare, then you can move on to tomorrow’s to-do list. You are in control of your day and responsible for scheduling what needs to be done. Just remember, never to confuse quantity with quality. You may even consider adopting the 1-3-5 rule. This gives you room for nine tasks to be allocated each day. One significant task, three medium tasks and five smaller tasks – pretty self-explanatory and very easy to remember, even on your busiest days. Prioritizing the items on your list ensures that the urgent and time-sensitive tasks get completed before their deadline. It can be helpful to start with the most difficult thing first, even before you’ve checked your email and phone messages. Making your most essential tasks a regular priority will actively improve the way you do business. The reality is that once the day progresses, unless you’ve worked out your priorities and completed them early, there is less chance that they will get done at all. Unless you estimate how much time each task will take, you won’t know if your list will practically fit in the course of one business day, allowing for breaks and natural distractions. If you have five things on your list and each item will take two hours, it’s not going to work out well for you. This is where the 1-3-5 rule may be particularly useful. Base your to-do list on sensible choices that won’t hinder your productivity and ruin your day. Having a workable list will make your day run more smoothly. Grab your coffee, close your office door (if you have one) and get started. Keep your phone, email and social media turned off during your “work” period, if possible, so you can accomplish your tasks without interruption. Having to work with constant distractions will hamper how much you achieve in the span of one day. Multi-tasking may be a necessary workplace skill, but the reality is it is not conducive to quality work. Maintain your focus on one task and check your emails and messages in between items. You may find yourself having to say ‘no’ more regularly or even making yourself unavailable for non-essential meetings. It’s not necessarily a bad thing and means you’re one step closer to finishing your work by the end of the day and starting with a clean slate the next day.